The BBC, of course, gets things wrong on many issues. But when it comes to the subject of Israel, as I have pointed out before, it is in a league of its own. Indeed, it is often difficult to keep up with the sheer quantity of misinformation about the Israel-Palestinian conflict broadcast on the BBC, the world’s largest news broadcaster. To take one small example, on Wednesday, on the BBC World Service radio programme “Outside Source” (which has tens of millions of listeners) BBC correspondent Rushdi Abualouf said “This morning the militants [Hamas] fired a couple of mortars” at an “Israeli military outpost. But (as Hadar Sela of BBC Watch notes), in the incident Abualouf describes, nine mortars – not “a couple” – were fired at Kibbutz Kerem Shalom, which is a civilian agricultural community in the Eshkol region, not a “military outpost” as Abualouf inaccurately informs the BBC’s worldwide audience. The BBC has set the tone for anti-Israel invective in the UK in recent days, whipping up even publications that are normally neutral, into publishing much misinformation. Israel has fired no missiles at or along the West Bank. Nor, when it hits Gaza, does Israel “unleash a rain of missiles”. Unlike Palestinian missiles that are deliberately aimed at Israelis civilians – including (earlier this week) a kindergarten in southern Israel -- Israeli air strikes are carried out only on Hamas military targets (usually empty weapons storehouses) with incredible care to avoid harm to civilians. The Daily Mail goes on to say that a Palestinian was “shot dead.” The paper forgets to mention that the man in question, Yosuf abu Zaghah, was killed when he threw a grenade at forces carrying out an arrest of another terrorist, something readers might have wanted to know. There is also surprise that even The Times (of London) published a piece (Page 27 on July 3) headed “Palestinian youth lynched by settlers in revenge killing” using phrases in the body of the piece such as “was kidnapped by Jewish settlers” ... “the revenge killing” ... “condemned the revenge attack” – even though there is so far no evidence at all that he was killed by Jews. The Jerusalem police are still investigating a number of possibilities (indeed most Palestinians are killed by other Palestinians) and it is wrong of The Times to decide for sure who killed him when they have no actual evidence at all and before an investigation has even been concluded. Experts say that this kind of unnecessarily inflammatory reporting is stirring up anti-Semitism in the UK. Also, there is disappointment at Ha’aretz, which is still trying to promote what many are terming anti-Israel conspiracy theories. For example, Ha’aretz writer Daniella Peled says that the announcement of the murder of the three Israeli boys was deliberately delayed in order to whip up support for Israel abroad. This is of course nonsense. The police took 3 hours to forensically identify the bodies and then inform the families, before releasing the news to the public – all of which is standard procedure, and Ha’aretz knows this perfectly well. The Internet has been awash with rumors after the IDF apparently tweeted and then deleted a tweet about a possible nuclear leak following a Hamas missile fired at Dimona. In fact, the IDF twitter feed was for a short time yesterday hacked by the pro-Assad “Syrian electronic army”. The IDF did not send out this tweet. Palestinian rioters in Shuafat on Wednesday attacked two Palestinian residents of east Jerusalem whom they mistook for undercover Israeli policemen. One of the men attacked by the mob was Yousef Badriyyeh, 40, who works in a lawyer’s office in Jerusalem. He said that he was standing waiting for a bus when he was set upon by the mob. Badriyyeh was rescued by the Israeli border policeman, who then transported him to hospital for treatment. A Palestinian journalist who was covering the events was also mistaken for an undercover Israeli policeman and attacked. He also had to seek medical treatment. Palestinian news websites published photos and videos of the attacks on the Palestinian men and later claimed (wrongly) that they were undercover policemen. Palestinians are continuing to make false “911” calls to Israeli Police to divert police into their neighborhoods and then attack them. For example, on Wednesday villagers in northern Samaria/the West Bank alleged that two Jews had forced a Palestinian youth into a vehicle and fled, according to Israel’s Ma’ariv newspaper. In immediate response, the IDF went into the area to try to rescue the (non-existent) victim. Troops set up roadblocks and inspected vehicles in the area in order to catch the supposed kidnappers, until the man making the alarm call finally admitted he had made it up. And while official Palestinian spokespeople and media continue to incite violence against Jews (also see item below), Israeli media is continuing to show itself to be understanding of Israel’s Muslim population. Not only are many Palestinian media inciting violence against Jews, some are continue to do so using classic anti-Semitic blood libels, of the type that gave rise to centuries of pogroms culminating in the Holocaust. For example, yesterday the editor of the Al-Risalah newspaper in Gaza Wisam Afifa, said the death of Muhammad Abu Khdeir, the Palestinian teen who was killed earlier this week in Jerusalem, was a consequence of “the Jews” used blood to bake their matzos on Passover. He added that Israel has adopted the ideology of Hitler. 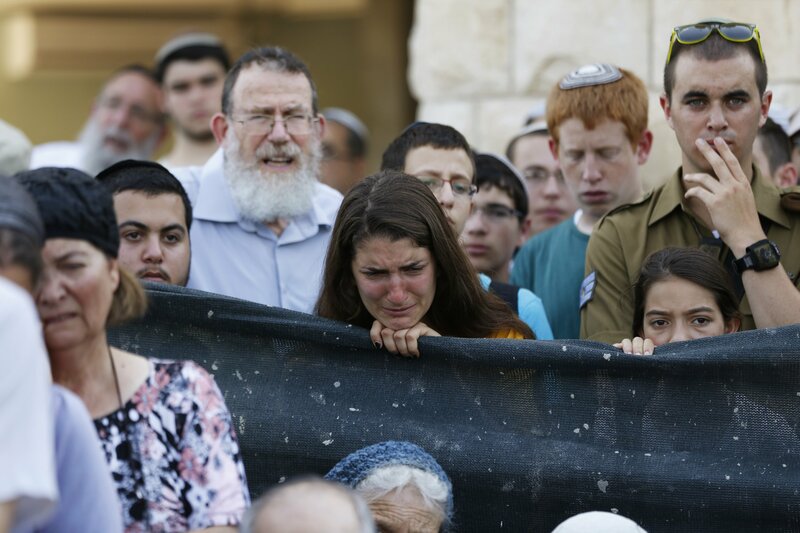 He wrote yesterday that it was “a crime reminiscent of their holy matzos that became part of their history of betrayal and murder – for the culture of violence and blood grew among the Jews to such an extent that it seeped into their sacred rites and prayers. Tom Gross adds: Several senior New York Times editors, writers and columnists in New York and Washington, as well as the New York Times correspondents in Jerusalem and the Palestinian territories, subscribe to this dispatch list. I am wondering whether you will report on this. The U.S. and European taxpayer-funded Palestinian Authority has also been inciting violence against Jews in recent days. For example, on the official Fatah Facebook page, Palestinians are urged to “rise up” and “declare a revolution”. Fatah continues to repeat Yasser Arafat’s famous statement calling for Palestinians to become “martyrs and that blood demands blood”. While Barack Obama, John Kerry and other western leader keep on proclaiming Mahmoud Abbas (who recently allied himself with Hamas) as a “Peace partner,” Abbas does not seem to be doing too much to encourage peaceful conditions. By contrast here is the statement broadcast on Israeli TV yesterday by Israeli President Shimon Peres – with whom Abbas prayed together at the Vatican last month. Our security forces continue to investigate the background to the shocking murder of the boy whose body was found in the Jerusalem Forest. Whatever the motive may be – this murder must be strongly condemned and we will bring those responsible for this crime to justice. I appeal to all the citizens of Israel and ask you: Please exercise restraint in your actions and words. Our hearts ache, our blood boils, but we must remember that we are, first and foremost, human beings and we are citizens of a law-abiding country. We are making decisions in a responsible, cool-headed and considered manner. The American people, who experienced terrible terrorist attacks on its own soil, empathizes with our fight and we empathize with their fight. And I can say that, Dan [U.S. ambassador Dan Shapiro] , especially on July 4th. It’s always been a great celebration for all those who cherish America’s historic commitment to liberty. For me it resonates in a special way because I lost my brother at the rescue mission at Entebbe on July 4th, 1976, and since that date, July 4th has always been a special mixture of pain and pride – pride because this is a day in which the celebration of freedom and the fight against terrorism are intertwined. Today our two nations, America and Israel, stand together in celebrating freedom and stand together in confronting terrorism. My friends, the United States has other partners in the region and these partnerships, these relationships are important, both for the United States and for Israel. But those partnerships are based on interests. In the huge land mass from Gibraltar to the Khyber Pass, the United States shares values only with Israel. And this is what makes the bond we share so unique and so unbreakable. When America celebrates its independence, Israel celebrates with America. The people of Israel are unabashedly pro-American and the American people are unabashedly pro-Israel. And by the way, that support keeps going up and up and up each year, tremendous support for Israel in America and I can tell you – Ambassador, you can relay this in a cable – tremendous support for America in Israel. That’s not obvious in our region because we share the values. We understand what America is about. And that friendship is essential as we move forward to face the great challenges before us: Denying Iran nuclear capability, stemming the tide of radicalism in Syria and Iraq and elsewhere and building peace and stability with our neighbors. So on behalf of the Government and people of Israel, I thank President Obama and his Administration. I thank the US Congress and the great American people. And I thank you, Ambassador Shapiro. I thank you all for your great friendship and your unfaltering support.